Oddly enough, the most important shot of Jordan Spieth's season -- heck, maybe his career -- came on a driving range. 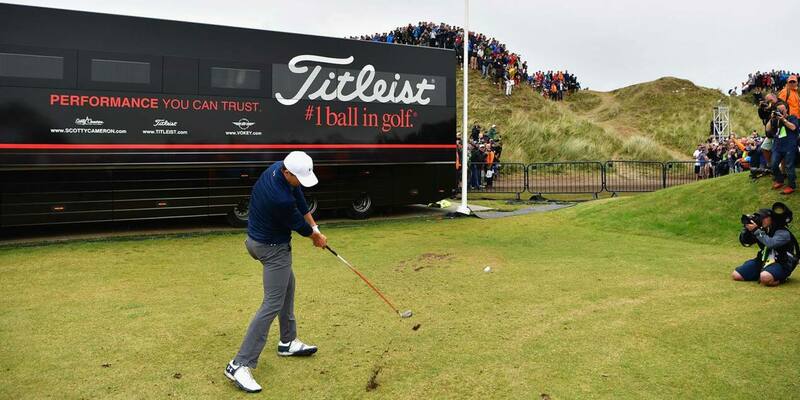 After a 20-minute delay that involved Spieth finding his golf ball on Royal Birkdale's 13th hole during the final round of the 146th British Open and then finding a place to take a drop, Spieth pulled a 3-iron from the course's practice area. Spieth and his caddie, Michael Greller, had to guess the yardage from the unusual spot, but Spieth's third shot landed safely in front of the green and he got up and down for an epic bogey that jump-started an all-time closing stretch to capture the claret jug. Someday, Spieth's putter, which drained a clutch eight-footer on that hole and a 50-footer for eagle two holes later, will be framed somewhere. But for now, the 3-iron he used during that wild bogey will be displayed at Royal Birkdale. On Wednesday, the club's Twitter feed showed off this extra-special delivery from Spieth. Pretty cool. It's not often that a bogey gets celebrated, but in this case, it was certainly deserving. The score briefly put Spieth behind Matt Kuchar, but then he blitzed his playing partner by going five under over the next four holes to win his third major championship.